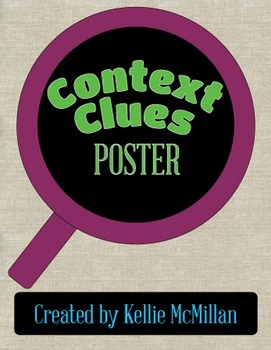 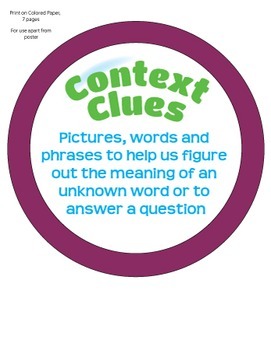 This product was created to help students have a visual reference for understanding context clues. 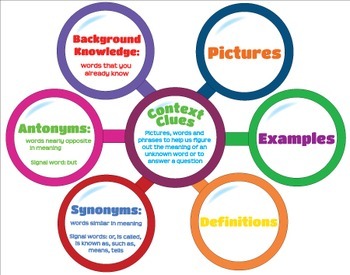 The poster shows 6 types of information that can be found in a text (informational or narrative), that the student can look for to gain an understanding of unknown words or to make an inference. 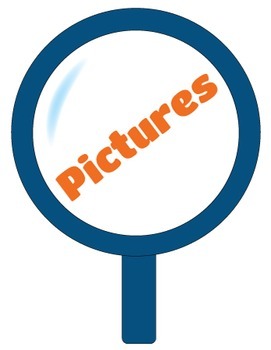 Includes print options for a 22" x 28" poster, magnifying glasses to put on a poster board, and magnifying glasses for individual use.